We have great pleasure to announce a validated digital signage platform, DSEK-10, with cooperation with Microsoft® and Intel®. 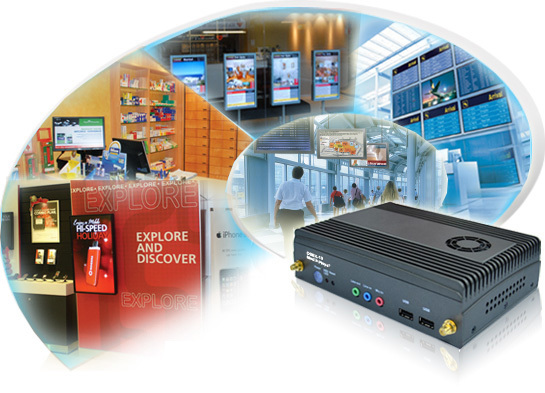 With Windows Embedded Standard 7 on a 2.4GHz Intel® Core i5-520M processor, the media player is designed to satisfy most in the digital signage and industrial market, such as Shopping Mall, Education and Transportation. 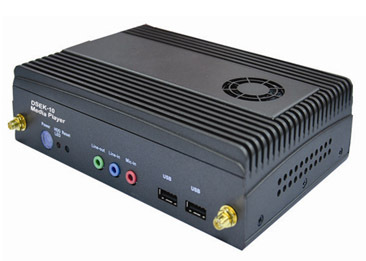 It's a PC-based system with DDR3 SDRAM, VGA, DVI-D, HDMI and Display Port controller, and on-board Gbit Ethernet. DSEK-10 integrates one Mini-Card (PCIe) slot and one PCIEx4 slot for expandability (Communication/Discrete Graphics). It is a compact design to meet the demanding performance requirements of today's Digital Signage applications. a. DSEK-10 full system* based on QM57 platform.